Polish artists Konrad Smoleński and Honza Zamojski present ‘Transparent’, a collaborative exhibition shown through a multimedia installation and performance. Sabina Sallis, the curator says: Transparent features configurations of objects and humans, humans and architecture and exhibits, institutions and individuals. Within a carefully structured environment and a precisely scripted scenario of live action, humans animate the system regardless of bounds to establishment and restrictions. Humans excite the inanimate world to vibrate, bringing a dynamic that makes the system flexible. By employing simple elements like movement, water, rhythm of actions, order and vibrations – the image of potentiality is created, a potentiality that ultimately remains humane. This event is a snapshot – this abstract form of dissected actions and system becomes an anthropological artefact. 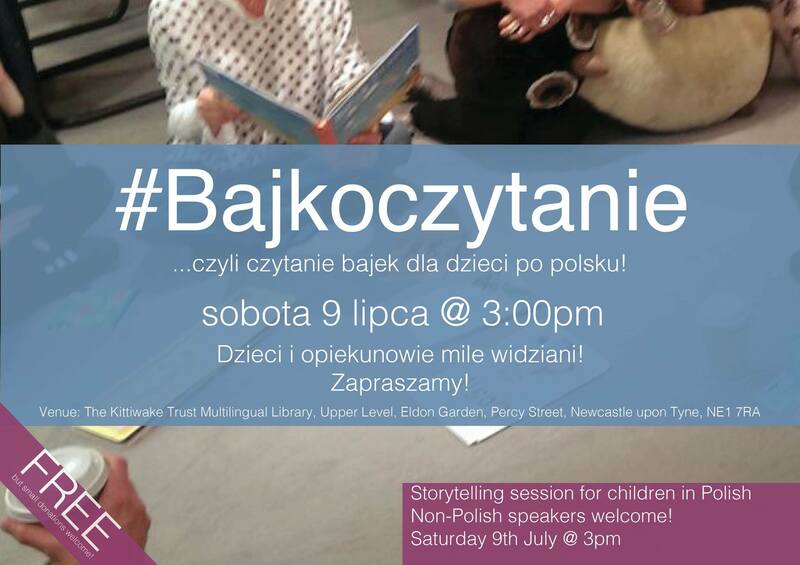 Listening to children’s stories is a great way to learn Polish! Don’t miss out on a this opportunity to improve your language skills.